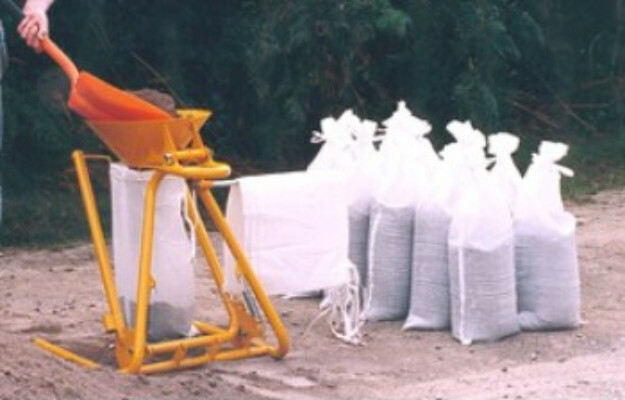 The SandHopper for filling sandbags. Rugged, all steel construction for a long life of arduous service under extreme conditions. Used by NATO Forces, the MOD and over 260 local authorities in the UK, from the Orkney Isles to Guernsey. Allowing fast Sandbag filling with the least effort. The most efficient single-operator sandbag filler made. 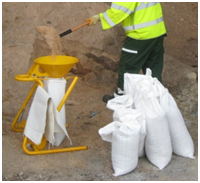 One person can easily fill 120+ sandbags per hour. Made entirely in the UK.